To and From the Airport - Pennsylvania. Location: 6 km/4 Miles NE of Allentown, 6 km/4 Miles NW of Bethlehem, PA, & 19 km/12 Miles WSW of Easton. By Taxi: Car One (610) 266 9770 or 1-877 LVIACAR, Elite Limousine & Coach 1-800 950 1441, Lehigh Valley Taxi (610) 867 5855, Quick Service Taxi (610) 434 8132. On-Airport Rental Car Providers: ALAMO/National (610) 264 5535, AVIS 264 4450, Budget 266 0667, Dollar 231 8785, Enterprise 266 4081 & HERTZ 264 4571. Airport Tel No: +1 610 266-6000. Location: 14 km/9 Miles NW of Dubois. By Taxi: Silver Bullet Cab (814) 590 4713. By Limo: Brookville Classic Limos 1 800 817 RIDE. Rental Cars: HERTZ (814) 328 5204 has a desk in the terminal. Location: 17 km/11 Miles S of Bradford. By Road: To Bradford 26 km/16 Miles. By Limo: Primo Limousine Service (716) 372 4546, Fancee Limousine Service 1 800 947 1537, Olean Limousine Service (877) 644 5466 & Sears Luxury Transport (814) 730 8032. Rental Cars: Enterprise (814) 362 6500. Airport Tel No: (814) 368 5928. Location: 10 km/6 Miles WSW of Erie City centre. By Taxi: Erie Yellow Cab (814) 455 4441. By Shuttle Van: Several local hotels provide shuttles for guests. A courtesy phone is provided to call. By Bus: EMTA bus #1 serves the airport. Route: Perry Square - 21st St/East Ave - Behrend College - 21st St/East Ave - 10th St/State St - W Erie Plaza - Airport - 38th/Caughey - W Erie Plaza - Perry Square. Buses stop at the aiport Mon-Fri at 0635, 0745, 0855, 1005, 1115, 1225, 1335, 1440, 1600, 1705 & 1805. At weekends at 0720, 0930, 1140, 1350, 1600 & 1810. Fare $1.10. Transfer $0.10. On-Airport Rental Car Providers: ALAMO/National (814) 838 7739, AVIS 833 9879, HERTZ 838 9691 & Thrifty. Off-Airport Rental Car Providers: Enterprise. Car Parking: Short Term: 15 mins free, 30 mins $1, 1 hour $2, each extra hour $1.50. Daily max $13. Long Term: 15 mins free, 1 hour $1.25, each extra hour $1.25, daily max $10 & weekly max $60. Location: 3 km/2 Miles SW of Franklin. Airport Tel No: (814) 432 5333. Location: 13 km/8 Miles SE of the city centre. By Taxi: American Taxi (717) 901 8294. By Shuttle Van: Many local hotels provide shuttles for guests. By Bus: Capital Area Transit System Bus #7 serves the airport Mon-Fri every 30-40 mins 0600-2000 & on Saturdays 0700-1800. There is no Sunday service. Route: Hoffer/Columbia - Main/Vine - Jamesway Plaza - Airport - Broad St/Highspire - Front/Chambers - Cameron/Elliot -Riverfront Office center - Commonwealth/North. Contact: Tel (717) 238 8304. On-Airport Rental Car Providers: AVIS (717) 948 3720, Budget 944 4019, Enterprise 795 0900, HERTZ 944 4081, National 948 3710 & Thrifty 944 9024. Location: 7 km/4 Miles N of State College city center, 5 km/3 Miles N of University Park & 10 km/6 Miles SW of Bellefonte. By Taxi & Limo: Taxis charge $10-12 to the city center. AA Transit (814) 231 8294 & Diamond Limousine 364 1960. By Bus: Some sources say a bus runs to and from the airport for $1.25, but the Catabus Website shows Bus H stopping 3 km/2 Miles SW of the airport terminal. The company is looking at starting a service to the airport during 2006. By Shuttle Van: Nittany Express Airport Shuttle (814) 867 4646. On-Airport Rental Car Providers: ALAMO/National (814) 237 1771, AVIS 237 9750 & HERTZ 237 1728. Car Parking: 10 mins free, 1/2 hour $0.50, 1 hour $1, each extra hour $0.50. 24 hrs $7.50. I week (5-7 days) $37.50. Location: 16 km/10 Miles NE of Wilkes-Barre, 10 km/6 Miles SW of Scranton. By Taxi: Readily available. Call 1 (888) 859 9204 or (570) 457 8109. By Bus: Many local hotels provide airport transfers. See airport website for details. 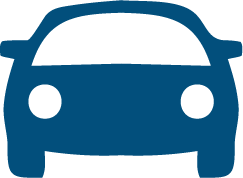 On-Airport Rental Car Providers: ALAMO, AVIS, Budget, HERTZ & National. Car Parking: Lot A: ½Hr: $0.75, Hour: $1.25, Day: $5.50, Week: $33. Lot B: ½Hr: $0.75, Hour: $1.2, Day: $4.50, Week: $27.